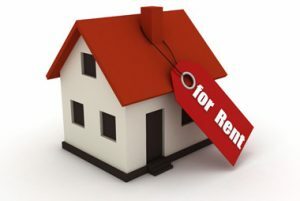 Rents in the UK’s private rented sector grew by just 0.02% in May, the slowest pace for over half a decade, and confirming similar data published earlier this week showing that the market is flat. London was the only region where rents fell in May, but seven out of 12 regions ended the month with slower growth than in April, according to the latest data from the Landbay rental index, powered by MIAC. It also shows that in London rents have now been falling for a year and were down 0.12% in May and down 0.94% since June 2016 compared to growth of 1.62% across the rest of the UK. Rents have now fallen for 12 consecutive months in London, a full year of softening prices which the index report says was caused both by dampened demand, but also heightened supply, as many home owners choose to rent out their properties until the weak sales market has rebounded. A breakdown of the figures shows that rents were flat across the country month on month, up just 0.01% in England, by 0.03% in Wales, by 0.04% in Northern Ireland and by 0.11% in Scotland. Year on year they increased by 1.27% in Scotland, by 1.18% in Wales, and by 0.66% in England but fell by 1.06% in Northern Ireland and by 0.94% in London. Excluding London they increased by 1.62% year on year and by 0.1% month on month. The average rent is now £1,191 but when London is excluded this figure falls to £753 per month. The average in London was £1,876, in England £1,223, in Scotland £725, in Wales £636 and in Northern Ireland £553. ‘The election is one of many external factors influencing activity in the buy to let market at the moment. While uncertainty about the future of the UK will cause some people to delay a decision to move, affordability pressures are also starting to pinch the pockets of renters across the country,’ said John Goodall, chief executive officer of Landbay. ‘Wage growth is now lagging behind inflation for the first time since the middle of 2014, and with less money to spend on such a major monthly outlay, renters will be factoring this into their tenancy decisions,’ he explained. ‘On the supply side, a wave of new rental properties caused by last spring’s hike to stamp duty, together with falling house prices, will no doubt both be playing a small part in the ongoing softening of rental growth,’ he pointed out. ‘Nevertheless, barring a major surprise from either the election or the Brexit negotiations, long term population and construction trends suggest that rents will soon be growing faster than inflation again,’ he added.